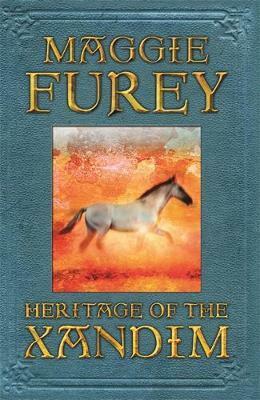 This series returns to the lands of Aurian and is set in the distant past of the Magefolk, when even the land was a different shape and the sea between the northlands and the south did not exist. This was the time when the Artefacts of Power were created and lives were torn apart by the Mage Wars. In those days, the Magefolk were comprised of four disparate races. But while the four races of the Magefolk strove and vied amongst themselves to master the powers of magic both good and evil, a new race was emerging, who would come to play a vital part in these phenomenal events. As the story opens, the Xandim are little more than simple beasts. Enslaved by the fey and powerful Phaerie, masters of the Old Magic, they have been trapped in their horse forms for so long that they have forgotten they once held a human shape. Only one of the tribe knows better: the Windeye, the shaman of the Xandim. This is the story of his epic quest to free his people. 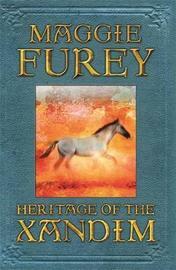 Maggie Furey was one fo the original WHS Fresh Talent authors and has gone on to be very successful in the UK and USA. She is also widely translated. She underwent extensive heart surgery two years and has since made a full recovery. Bought up in County Durham she now lives in Ireland near Limerick.